Here is another great folding handle platform hand truck offered to you by Handtrucks2go.com! 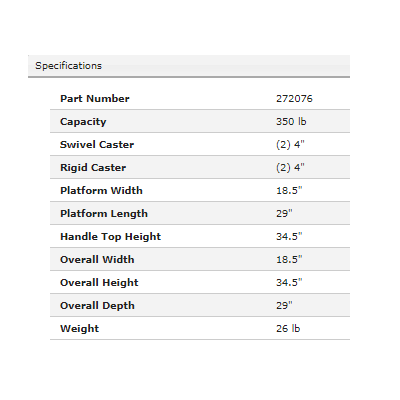 The 22lb, 18.5" x 29" model has 4” casters and can carry up to 330lbs of cargo. Its rubber-coated corners protects your walls, furniture, legs—everything!—from any scratches or dents. 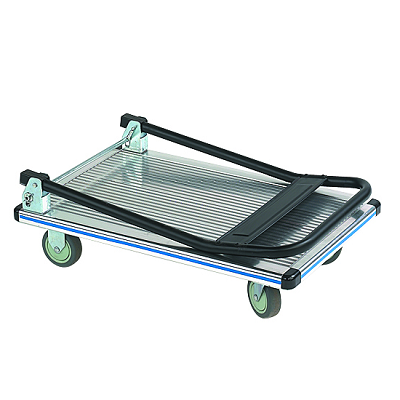 This aluminum hand truck has a rugged, durable build and is perfect for the office. Short on room? Fold the handle down and store your truck anywhere! You are going to love this hand truck for everything it can do for you around your home and office. 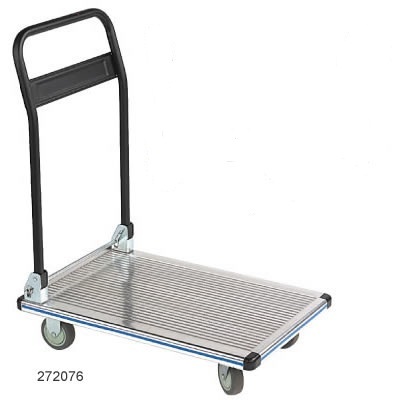 Check out this folding platform hand truck. 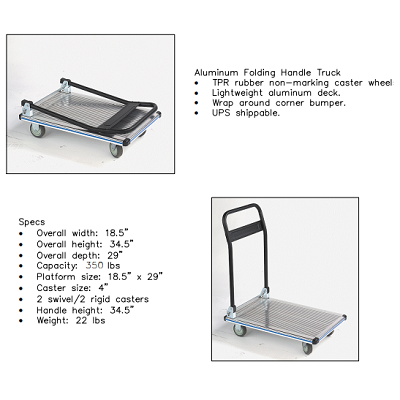 Look at our entire selection of platform hand trucks.